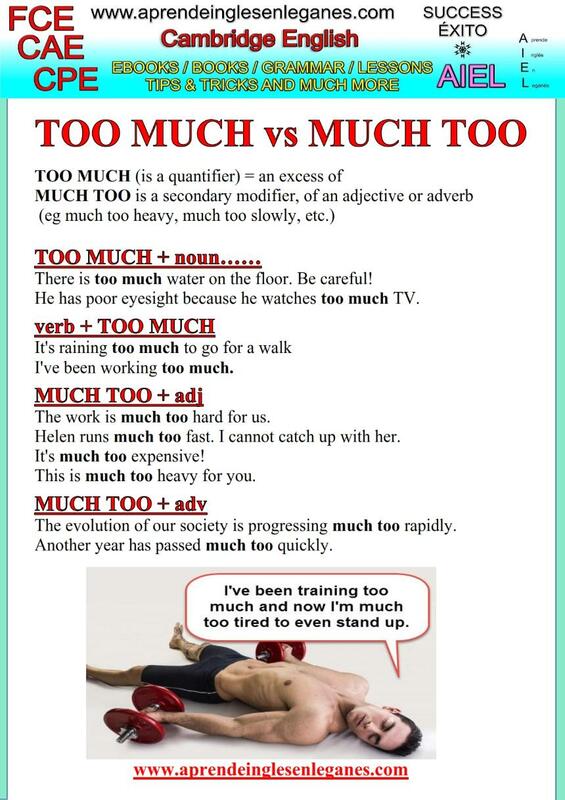 What's the difference between "TOO MUCH" and "MUCH TOO" ? When should we use one or the other? Have a look at the grammar sheet below to find out.